The Canadian Union of Public Employers (CUPE) and its 650,000 members across Canada refuse to stay silent in the face of white supremacy, bigotry, and the racist violence it spurred this past weekend in Charlottesville, Virginia. CUPE condemns these hateful acts, and stands in solidarity with those who courageously stood up against this violence and hatred. We express our deepest condolences to the family and friends of Heather D. Heyer, a passionate civil rights advocate and ally, whose life was senselessly taken when a known Nazi sympathizer intentionally struck her and dozens of innocent people with a motor vehicle. We condemn the response of US President Donald Trump who, instead of condemning these acts of violence and domestic terrorism, by an act of omission, encouraged them to spread – in the US, and around the world, including Canada. But as shocked as we are, we must not fool ourselves into thinking that this cannot happen here in Canada. White supremacist violence and vandalism are on the rise in Canada, emboldened by the election of Donald Trump – and it will only worsen if we fail to act now. 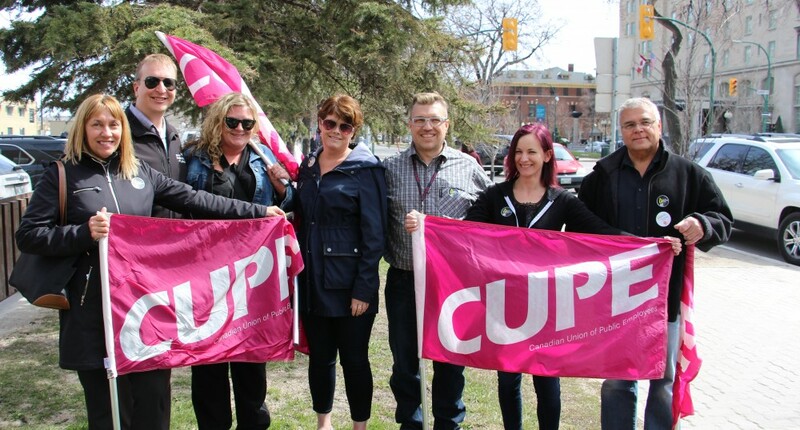 As CUPE members, and as Canadians, we must remember that there are more of us than there are of them. We must be vigilant in our efforts to celebrate diversity and inclusiveness; and we must not let ourselves become divided in our fight against white supremacy, racism, islamophobia, anti-Semitism and violence. As Martin Luther King, Jr. once said, “Our lives begin to end the day we remain silent about the things that matter.” We will not remain silent.